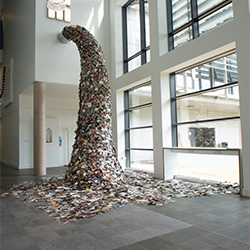 The FORMAT19 open call received 657 entries of over 10,000 images from 47 countries across five continents with 54 projects being exhibited this year in venues across both Derby and Nottingham and as part of the festival Banks Mill Studios will be hosting the FORMAT Graduates Award. Graduating in 2018, the six artists represented here are from the University of Derby – four from the BA (Hons) Photography course and two from the BA (Hons) Fine Art course. They were selected by a panel of festival judges to exhibit their work at FORMAT19 from a large body of talented graduating students. 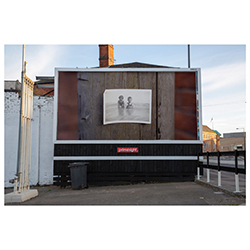 In Alys Russell's series Prime Sight, she pastes domestic photographs found in junk shops onto billboards, creating a public display of the family album. Using 21st Century GPS coordinates to display a digital record of the billboard locations. 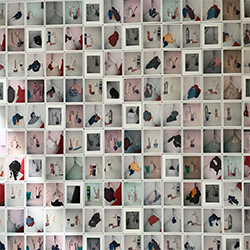 Danielle Shambley’s large sculptural installation Eructate: The 90th Year is comprised of personal photographs from the family albums of people of Derby from 1928 to the present day. 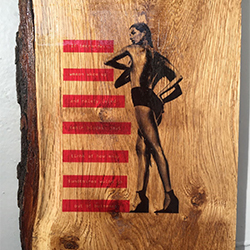 In Deana Bowman’s work Social Detox Required, the unattainable body image created by the mass media is critiqued through appropriated imagery and text. 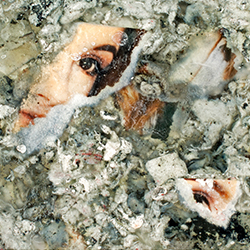 Jess Redfearn has combined every selfie she has taken and rendered these photos as a physical artefact in Amalgam. Private II by Kerri Bartlett invites you to look closer at these ‘insignificant’ and ‘menial’ tasks she carries out each day. 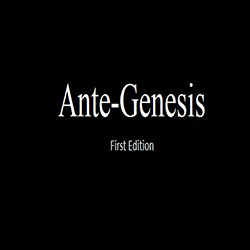 Nuno Almeida’s Ante-Genesis is an exploration into the evolution of both photography and virtual reality, which challenges the boundaries and perception of the photograph.